If you are having problem to mount your Google nexus 4 device on Ubuntu 13.04/12.10/12.04 then this guide is here to help you. Thanks to Manish A.Shetty who shared this solution for Nexus owners "I have tried many different methods to mount my Nexus 4 on Ubuntu and and none have ever truly worked. Finally after much surfing I found the following to work(thanx to XDA Developers)". 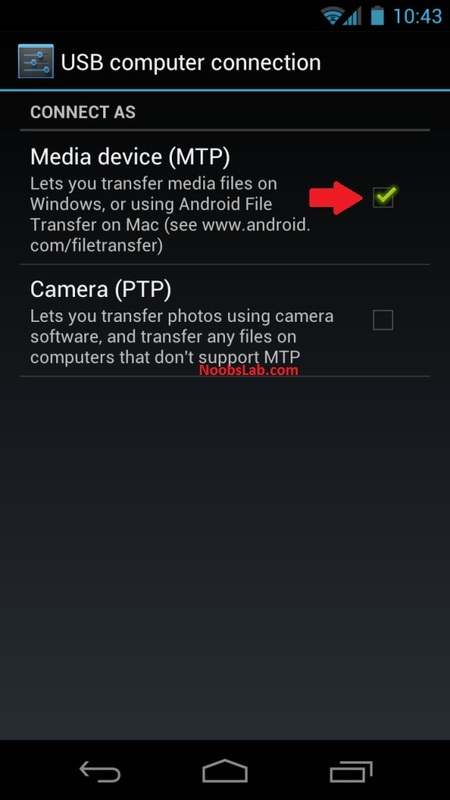 Nexus 4 doesn't come with built-in expandable storage, it has own flash memory which saves data directly. That's the main reason Ubuntu has some troubles while mounting Nexus 4. 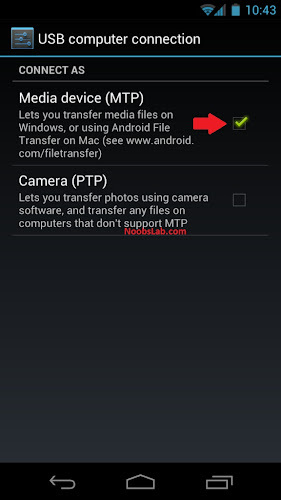 After this solution you will be able to mount and transfer data to your nexus 4 via MTP protocol. Enable Developer options and enable USB debugging mode. 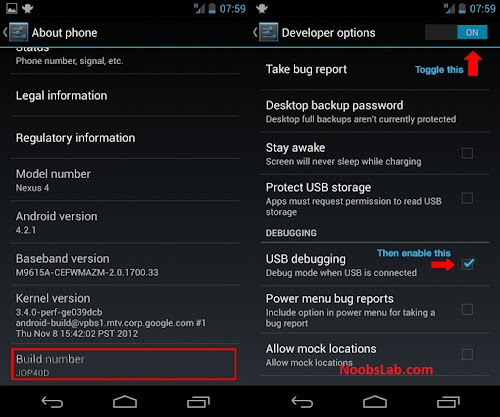 Now Enable MTP on your Nexus 4 device then plugin your device to computer. Now enter following command in terminal to detect MTP device.